The Foo Fighters launched their ninth album, “Concrete And Gold”, on September 15 with a new animated video trailer detailing the making of the record. 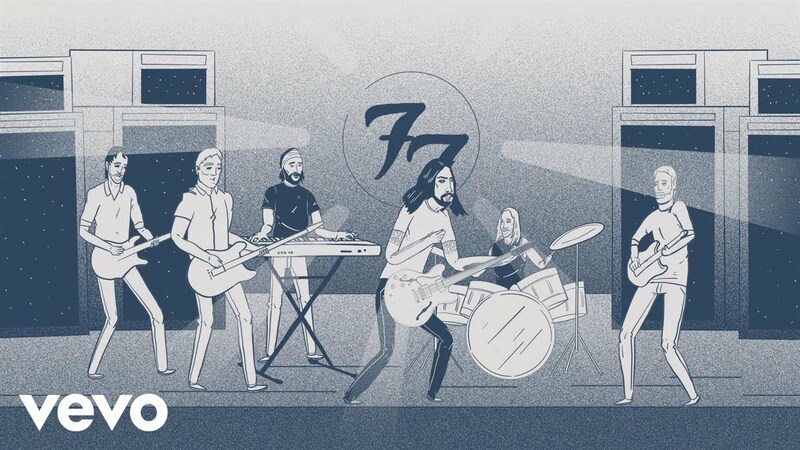 Directed by Visual Creatures and illustrated by Joe Garber, the project was written and narrated by head Foo Dave Grohl. The rocker reveals how he connected with producer Greg Kurstin (Adele, Sia) and some of the special guests who appear on the set – including Justin Timberlake and Paul McCartney. The Foo Fighters will open a fall US tour with their own Cal Jam 17 festival at Glen Helen Regional Park in San Bernardino, CA on October 7. The band’s salute to the original 1970s California Jam festivals will see them joined by more than a dozen acts, including Queens Of The Stone Age, Cage The Elephant, Liam Gallagher, The Kills, Royal Blood, Japandroids, Wolf Alice, Bob Mould, and more. The Foos will follow the Cal Jam 17 event with an October 12 performance at the grand opening of the new Washington, DC venue, Anthem, before bringing their live show to arenas across the US, with dates scheduled into December.